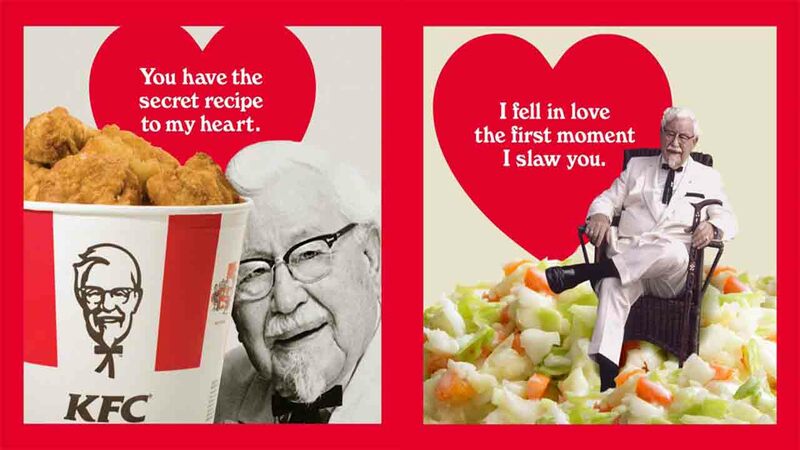 KFC has gone above and beyond to make Valentine's Day wishes special for those 11 herbs and spices lovers, offering scratch 'n' sniff Valentine's Day cards for a limited time. With a variety of cards with different miniature confessions of love, like "I fell in love the first moment I slaw you," these cards are sure to steal the show. Available for free with any purchase of a $10 Chicken Share, this offer is special for U.S. customers only. The cards are available until supplies run out. Find a participating KFC store near you.